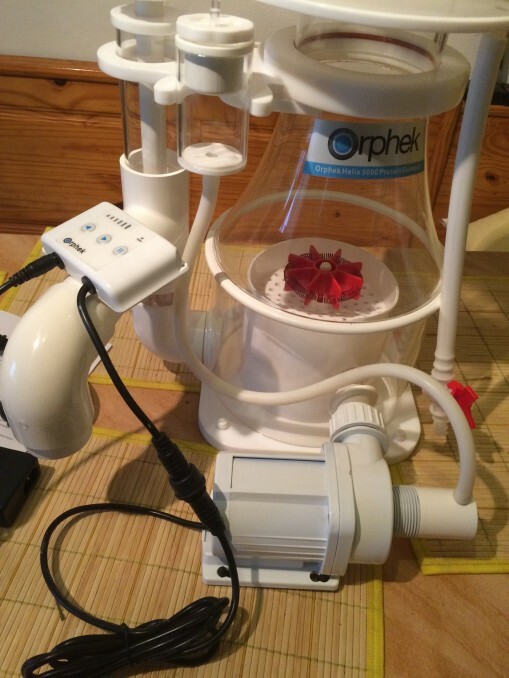 Orphek Helix 5000 DC Protein Skimmer is a new technology in skimmer design. It is the only skimmer made with dual impellers which greatly increase the amount of fine bubbles produced which increases the efficiency and volume of waste removal in marine aquariums. The Helix 5000 is readily being accepted by many aquarists in Europe and also sold in many Orphek authorized dealers throughout Europe. Our Helix 5000 DC Protein Skimmer was recently reviewed by Ronny Schopke, who has developed a website to aid aquarists and has reviewed many products related to the reef aquarium hobby. Ronny recently reviewed our Helix 5000 DC Protein Skimmer and his results can be read and viewed here.